for $149,900 with 2 bedrooms and 2 full baths. This 1,200 square foot condo was built in 1970 on a lot size of 1.64 Acre(s). 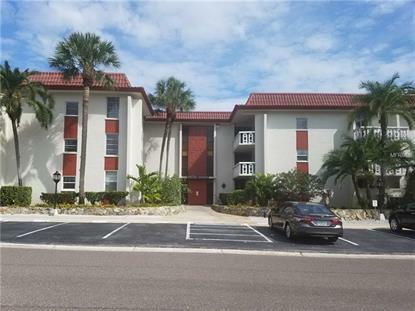 55+ established community conveniently located on US 19 & SR 60, minutes from our award winning beaches, Tampa International Airport, Clearwater/St Pete Airport, walk to Clearwater Mall shopping, Target, Costco, Lowes, restaurants, public transportation. This corner/end unit has INSIDE PRIVATE WASHER & DRYER, TWO balconies, newer carpet, upgraded tile, upgraded bathrooms and kitchen. Bright and light, lots of storageband closets, this much sought after community has a heated pool, rec room with pool table, fitness room. Mature landscaping, plenty of parking, one small pet (under 25lbs) is permitted. Unit is beautifully furnished, with many upgrades. Building has extra private storage, lobby sitting area, elevator, courtyard and is self managed. Upcoming roof assessment paid in full. Come see this gorgeous, ready to move in Seville Condo today!